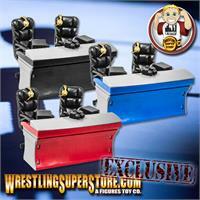 Comes with all 3 of our ultimate commentator playsets. 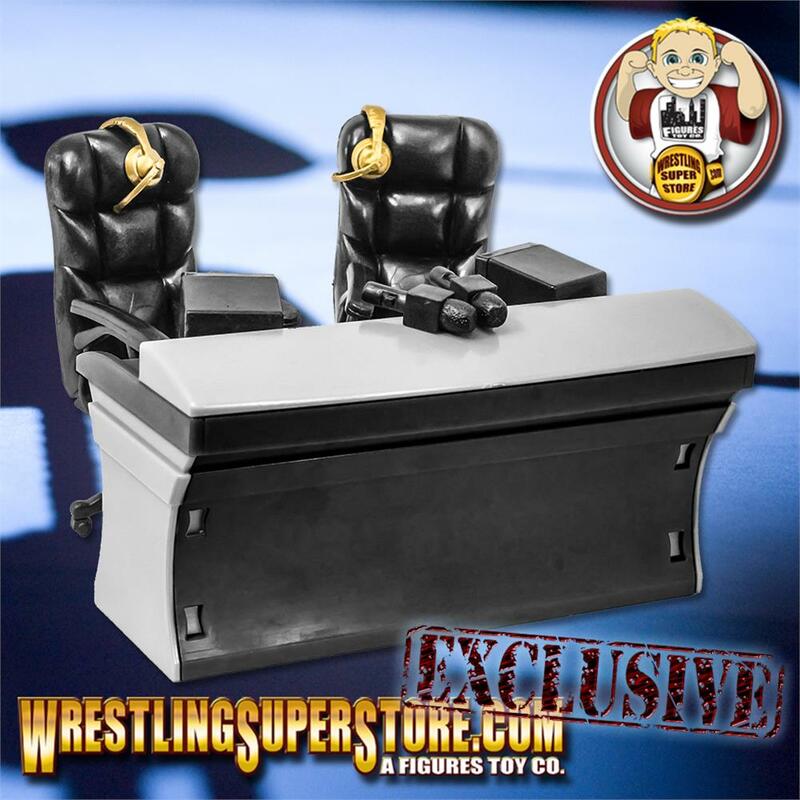 Each comes with the following items: Commentator Table with top shelf, 2 Television Monitors, 2 DELUXE office chairs, 2 Commentator Headsets and 2 Microphones. 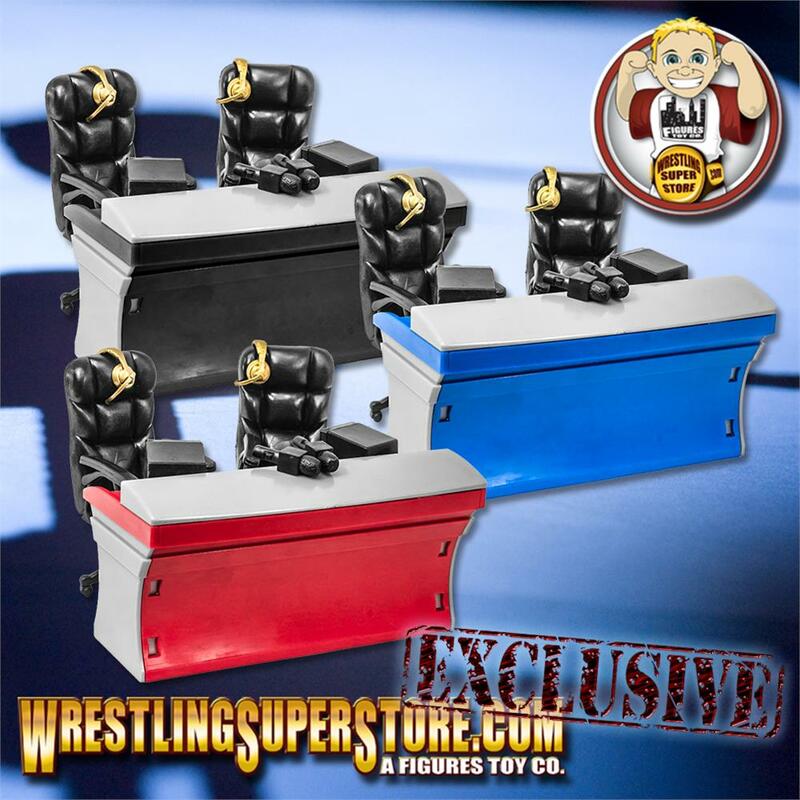 These are an upgraded version from the original that has more realistic office chairs like they use on television!